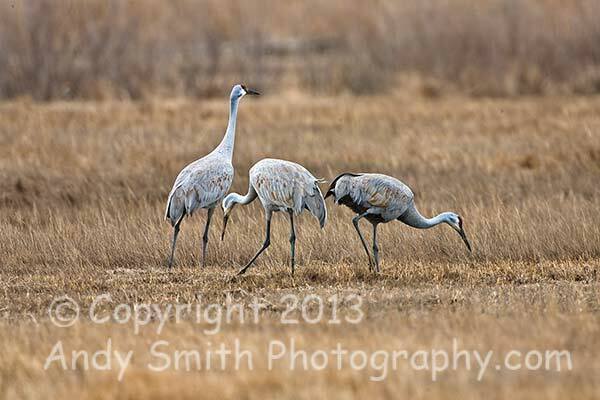 Sandhill Cranes, Grus canadensis, are likely the oldest bird species alive today with fossil remains of essentially the same bird dating back ten million years. These birds are part of a group of 18 that winters at Husted Landing, New Jersey. They spend most of the day feeding in nearby fields or in the salt marsh.